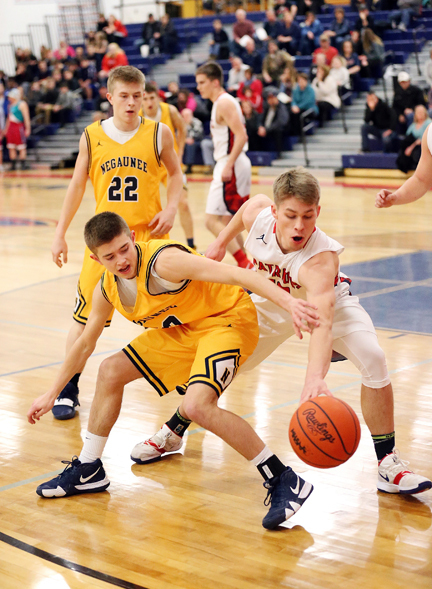 ISHPEMING — Negaunee’s Jason Waterman caught fire late in the third quarter while he and Jakson Sager made nearly every free throw they tried in the fourth as the Miners upended Westwood 44-32 in a high school boys basketball game played Wednesday evening. 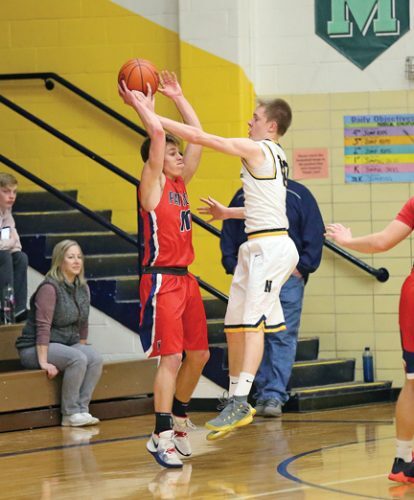 Held scoreless in the first half, Waterman put in 11 points in the final three minutes of the third quarter to turn what had been Negaunee’s narrow 16-13 halftime lead into a 32-22 bulge entering the final quarter. “Jason hit a couple 3(-pointers) and made a free throw on one of them when he was fouled,” NHS coach Dan Waterman said. “I thought (Westwood) got tired as we went through the third quarter. Jason Waterman, who went 6 of 6 at the free throw line in the final eight minutes, finished with a game-high 17 points and team-high six rebounds. Sager, who finished with eight points, was 3 of 4 at the line in the fourth for a combined 9-of-10 fourth quarter. Mostly due to the fouling Westwood (9-5) did trying to get back in the game, there was a huge disparity at the line overall — Negaunee was 15 of 17 while the Patriots were just 1 of 1. Coach Waterman added that he was pleased with the zone defense he installed just for this game. Westwood coach Chad Hewitt knows his team does well when the score is lower, though he thinks there is room — and hopefully time — for improvement. “It was a great game, but a low-scoring first half,” he said. “I thought we did a good job on Waterman early in the first half, but he went off for 17, so hats off to him. “We got open looks but couldn’t put the ball in the basket. “Every time you play, you want to play good basketball, but you want to play your best basketball the last few games heading into the districts. Drew Lindberg added 10 points for the Miners, while Ty Alderton paced the Patriots with 10 points. Westwood won the JV game. At Painesdale, the Jets turned on the afterburners in the second half after leading just 24-21 at halftime. Jeffers made four 3-pointers in the third quarter. The Jets’ Christian Hocking led all scorers with 26 points, while teammate Isaiah Frahm had 17. The Hawks were led by Eli Luokkala with 22 points as Kolin Conklin scored 12 while Jake Carlson had 10. 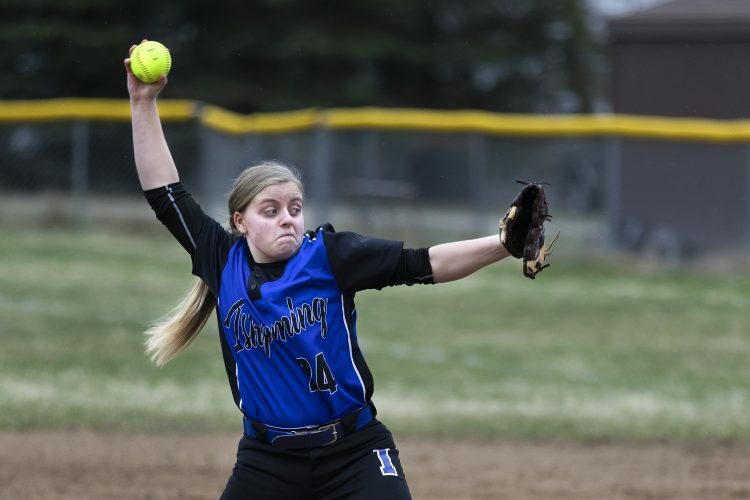 R-M is back in action with a home game against winless Baraga on Friday. At Eben, the Cougars opened up the margin in the second half after only leading 21-17 at halftime of this Skyline Central Conference game. The Wolverines (1-13, 1-11 SCW) led 12-8 at the end of the first quarter. SC (5-9, 4-7 Skyline) switched up its defense in the second quarter. Lucas Kanerva aided the Cougars’ attack with a season-high 21 points. Roubens Fink added 15, while Beau Rondeau and DJ Johns contributed 10. Mid Pen’s Zach Englund had 16 points. SC, which also won the JV game 34-11, visits Forest Park Friday. 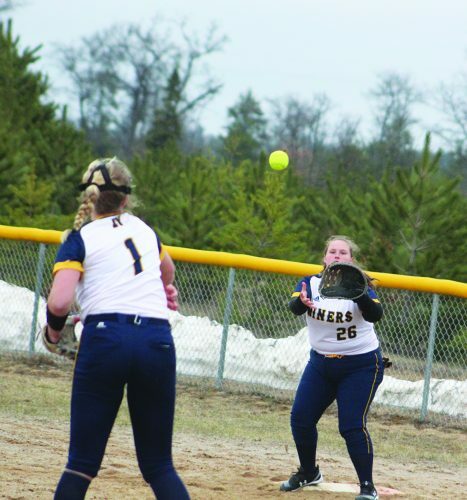 The Wolverines play at Munising on Friday. 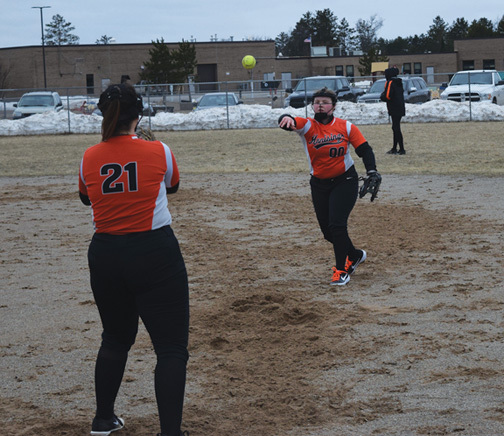 Information compiled by Journal Sports Editor Steve Brownlee and Journal Sports Writer Ryan Stieg with contributions from the Escanaba Daily Press. 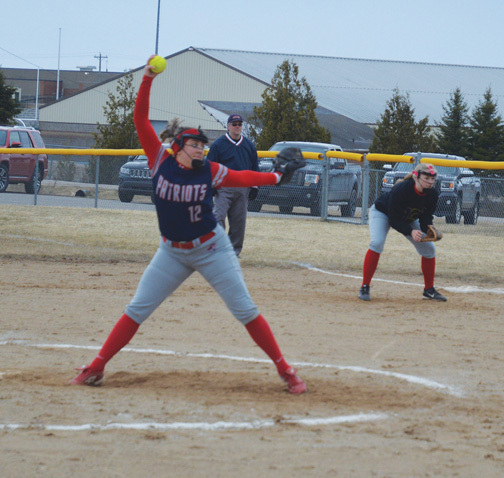 Email Brownlee and Stieg at sports@miningjournal.net.